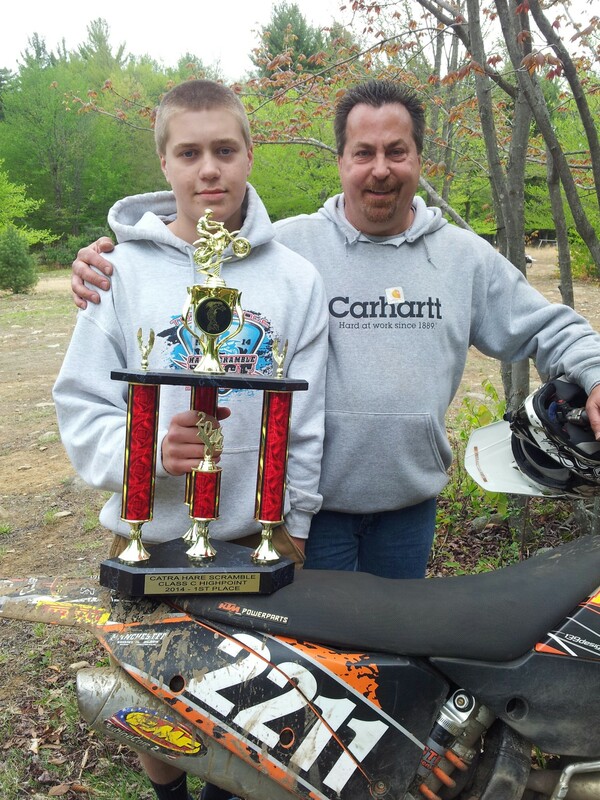 Pathfinder Evan Gionta, won the overall Novice race at the NETRA Hare Scrambles Championship event in Fish House, NY. 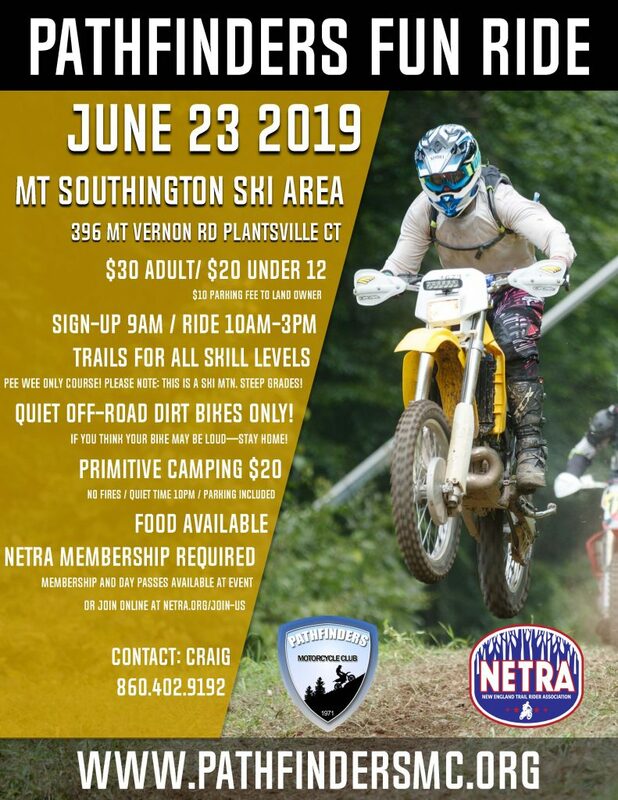 “The Black Fly” hare scrambles event was hosted by the Capital Area Trail Riders Association. Evan overcame a not-so-stellar start (last into the woods) from the C-200 line to take home the grand prize. Congratulation Evan and proud Dad, Mark.